Mailman Accused Of Stealing 20,000 Pieces Of Mail : The Two-Way Authorities say a Maryland letter carrier stole Netflix DVDs, along with medicine and other items, including Mother's Day cards. The haul was stockpiled in his house, they say. 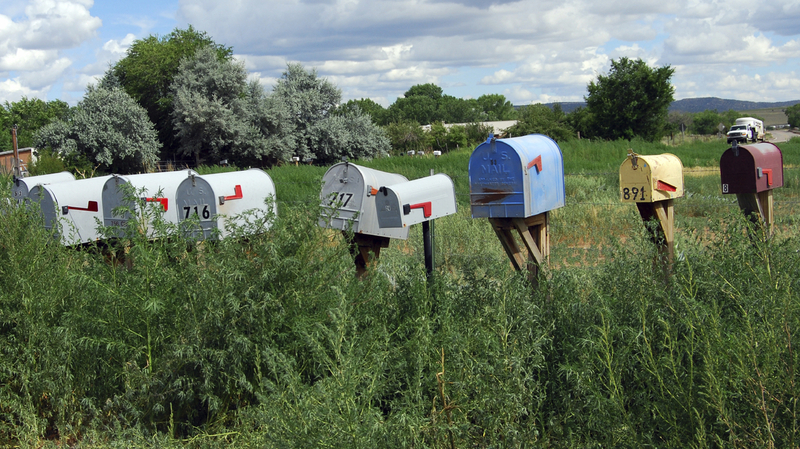 A postman has been accused of stealing credit cards, Netflix movies and other items. The U.S. Postal Service says a search of Jeffrey L. Shipley's home found his apartment had bags of mail in it. For some folks in Catonsville, Md., it must have seemed like their mail was disappearing into a black hole. Passports, money orders and Mother's Day cards are among the items a U.S. Postal Service worker is accused of stealing in the town near Baltimore. Officials say mail carrier Jeffrey L. Shipley stole 20,000 items during a postal career that began in 1993. "Investigators from the USPS Inspector General's office initiated their case after receiving a tip over an Internet hotline that Shipley was stealing bagfuls of mail as well as taking jewelry, Netflix movies and passports from the mail, according to court documents. "As the investigators set to work, they met with people who provided photographs of Shipley's mail-stuffed apartment and interviewed people on his route who had previously complained about letters not arriving, according to the documents." Investigators found bags, boxes and service crates full of mail in Shipley's apartment, The Sun says. The authorities have charged Shipley with stealing medicine and hundreds of dollars' worth of checks and money orders.